Two months after its latest Brisbane feat, Gurner Apartments have continued to sell out in a streak of success - this time in West Melbourne in just 4 weeks. Gurner, a Melbourne based property developer is peddling its Japanese-inspired development “Ikebana” through popular cities like Brisbane and Melbourne, making ground breaking selling records in each state. Ikebana (named after the Japanese art of formal floral arranging) is a $140 million project in that features 241 apartments designed by award winning architects, Elenberg Fraser. Gurner's founder, Tim Gurner explains that Ikebana sold quickly amongst Gurner fans because of its strategic location in close proximity to the CBD and Docklands precinct. “These locational benefits all point towards strong continued growth for investors and owner occupiers,” Mr Gurner said. According to previous sales, the apartments attract a strong tenant pool of young professionals, families and professionals aged between 25 to 40 years old. Mr Gurner says that before the release of Ikebana, the idea was advertised on Gurners VIP database which collected 500 registrations of votes supporting the development. 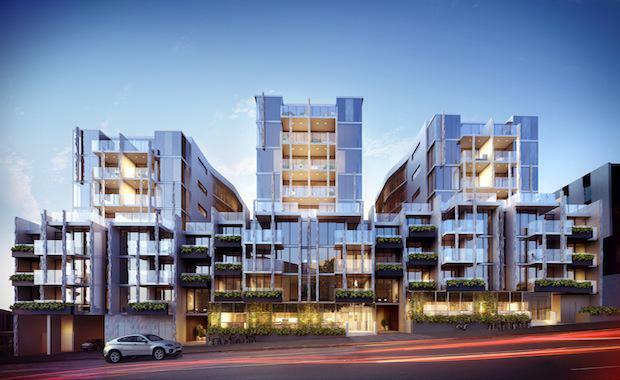 “Due to the excellent returns and rental yields garnered from our West Melbourne projects, we have seen many of our clients reinvest into every single development we have taken to the market in West Melbourne and would do so again 10 times over - we literally cannot keep up with the demand,” Mr Gurner said. After Gurner’s similar success in Brisbane with his iconic Fortitude Valley project, FV that sold 630 apartments of 651 totalling over $300 million in just 12 weeks, the Melbourne property developer has gained a following of fans interested in his zen-like developer designs. “It is not easy out there as buyers have become extremely astute, however the sell-out success reflects that if you do get each element right the market is very strong,” he said.